Power through the ups and downs of the market with the Value Investing Model. Stock prices fluctuate unpredictably. But company values stay relatively steady. This insight is the basis of value investing, the capital management strategy that performs best over the long term. Marshall leaves no stone unturned. He covers all the fundamental terms, concepts, and skills that make value investing so effective. He does so in a way that’s modern and engaging, making the strategy accessible to any motivated person regardless of education, experience, or profession. His plain explanations and simple examples welcome both investing newcomers and veterans. 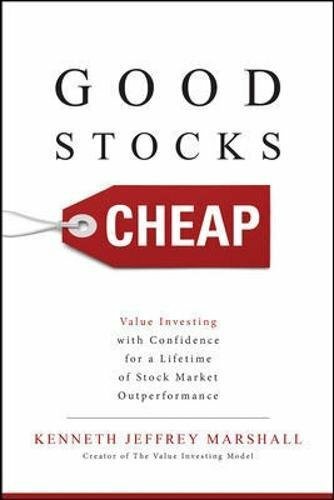 Good Stocks Cheap is your way forward because the Value Investing Model turns market gyrations into opportunities. It works in bubbles by showing which companies are likely to excel over time, and in downturns by revealing which of these leading businesses are the most underpriced. Build a powerful portfolio poised to deliver outstanding outcomes over a lifetime. 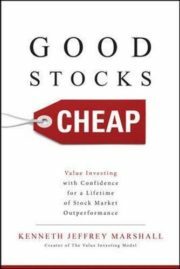 Put the strength of value investing to work for you with Good Stocks Cheap.